Oliva Brill visits with Santa at a previous Holiday Happening. Last year, all she wanted for Christmas was her two front teeth. We hope she’s got them by now! Chelsea and Saylor Swain introduce themselves to a volunteer at a past event. Poor fellow, he’s looking a little horse. Carriage rides were offered at a past Holiday Happening, for those patient enough to stand in line. 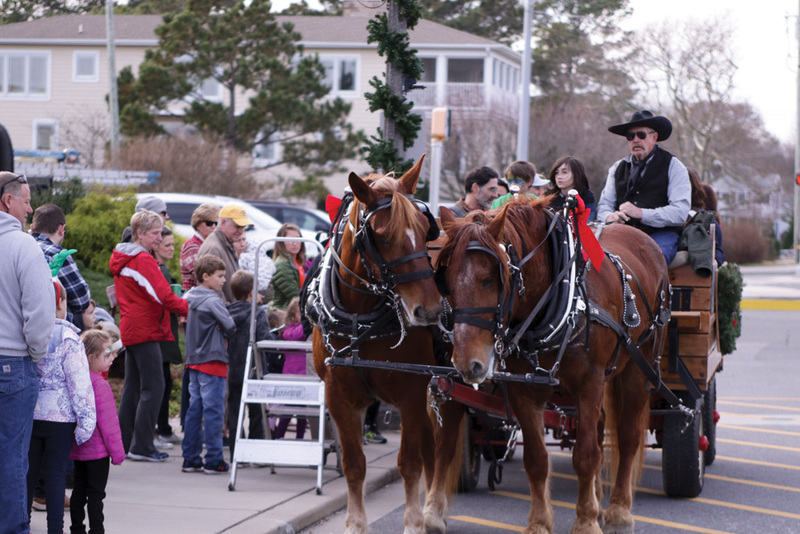 On Saturday, Dec. 1, the Town of Bethany Beach will host its annual Holiday Happenings from 1 to 3 p.m. at town hall. The event will feature face painting and photos with Santa, with hot cocoa, cookies and a station for children to write letters to Santa. 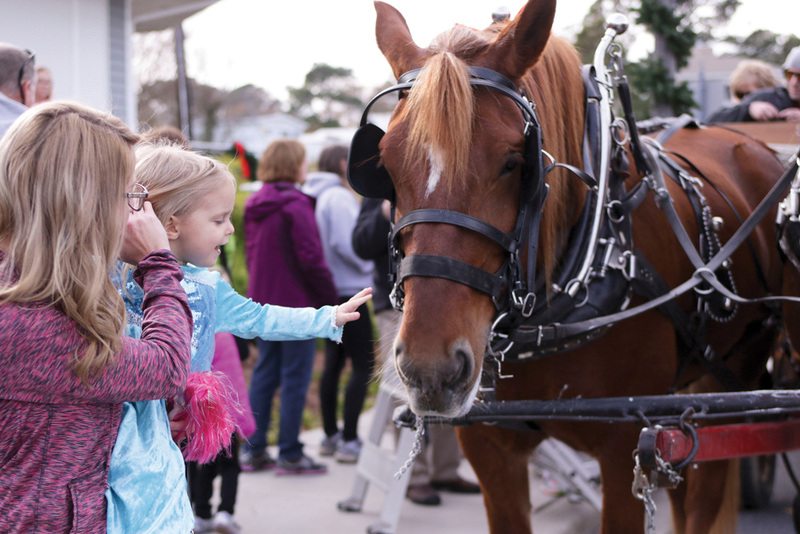 Horse-drawn wagon rides, trolley rides through town and beach tractor rides will be extended until 4 p.m. The trolley will also be running to select pick-up locations throughout Bethany Beach. At 5 p.m., the fourth annual lighting of the holiday tree will take place on the bandstand plaza. Attendees can gather with friends and family for a sing-along led by the Remnants, the contemporary music group from Our Lady of Guadalupe. Attendees are being encouraged to bring hats, gloves, scarves and canned goods to be donated to local charities. Those who cannot attend the event can watch it on the west view beach cam, via the Town website. Holiday Happenings will once again kick off “Weekend Wonderland in Bethany,” a town-wide collaboration in which participating businesses will offer special incentives between 10 a.m. and 6 p.m. on the four Saturdays prior to Christmas: Dec. 1, 8, 15 and 22. 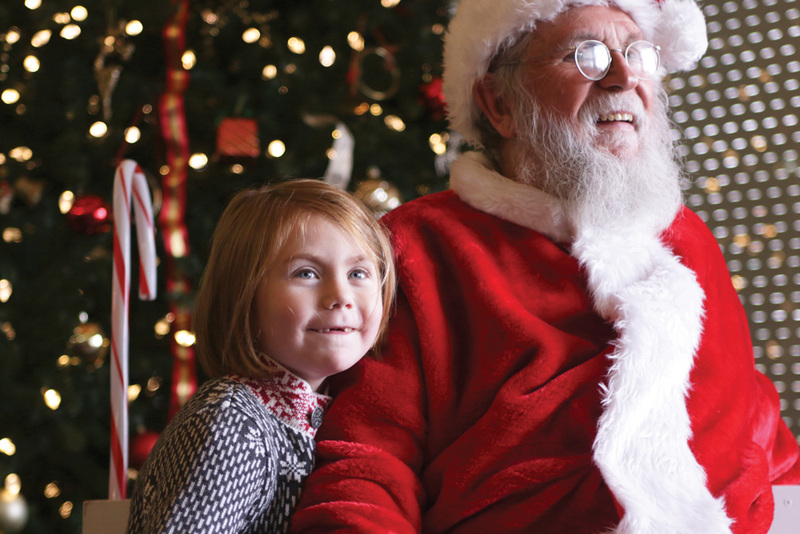 Holiday Happenings is free and open to kids of all ages. There is no rain date. For updates, visit www.townofbethanybeach.com under Activities and Events.